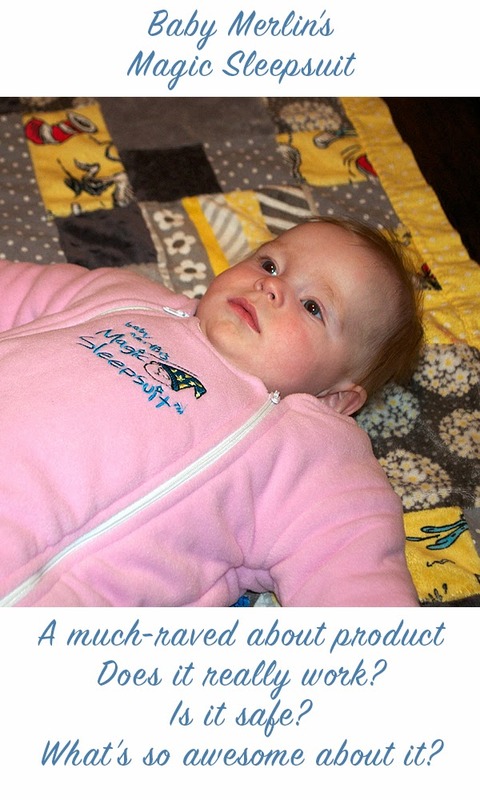 Baby Merlin's Magic Sleepsuit A Much Raved About Product! Does It Really Work? The Opinionated Wife says the Magic Sleepsuit has "been a lifesaver for a baby who is slowly learning how to break out of the swaddle, but not yet ready to sleep in her crib without something swaddling her"
Are You Ready To Stop Swaddling? Kim West, The Sleep Lady, hosts Maureen Howard as a guest blogger on her website and recommends the Magic Sleepsuit for swaddle transitioning. Lauren from the Say What You Need to Say blog writes that her little one "is much more rested and just overall happier" and that she "honestly cannot get over how joyful he has become since we started the sleep training and sleep suit"